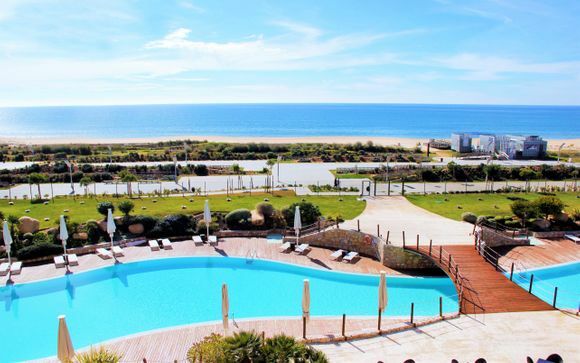 Stays in the Algarve up to -70% off To take advantage of these offers, join now for free! 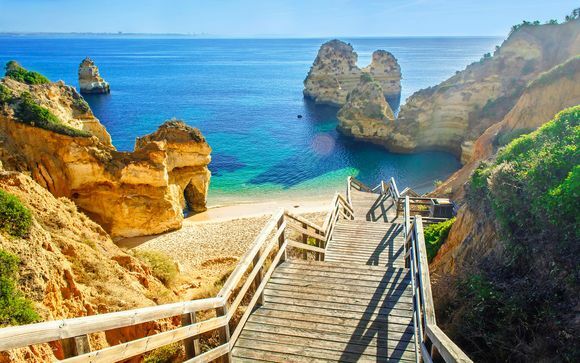 Enjoy a luxury stay in the Algarve with Voyage Privé and discover a region of breath-taking beaches, sun kissed seas and classy culture. Book online today. The Algarve is Portugal’s most popular tourist destination. 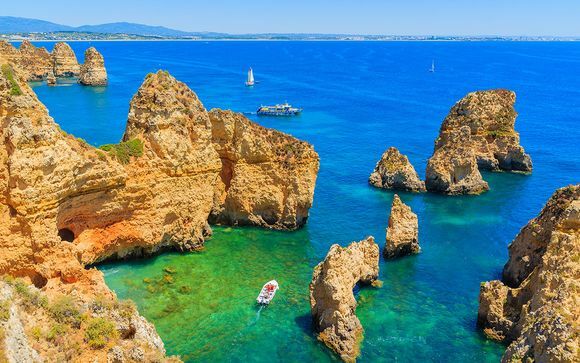 Formerly a region which depended on a number of fishing villages for its livelihood, large parts of the Algarve are now heavily developed and designed to accommodate the millions of visitors the area attracts each year. Towns such as Faro, Vilamoura, Lagos and Albufeira are popular with holidaymakers throughout Europe and are always bustling come summertime. If you’re accustomed to quieter, more romantic breaks, the west coast still offers stunning scenery and plenty to do, but amid a much more rustic and peaceful landscape. 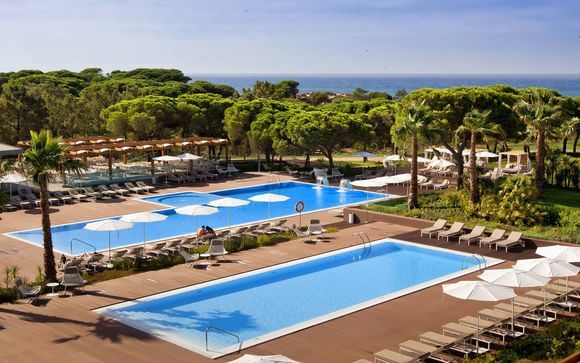 Whatever you want from your Algarve getaway, peruse our selection of luxury hotels and find the deal that’s best for you and your loved one. There are a number of ways to navigate the many wonders the Algarve has to offer, but without doubt the best is around the coast, by boat. The region boasts a spectacularly unique coastline, with caves so perfect in formation they look like they’ve been manually hewn from the sea-drenched rock. The most famous cave in the Algarve is the Benagil Sea Cave, a dome-shaped expanse of rock with a natural ‘spotlight’ illuminating the beach below. The beach can be accessed at low tide, and is arguably one of the most romantic spots in all of Europe. After you’ve finished exploring the beauty of the caves, head west to Sagres, the most southwesterly point in mainland Europe, where you can watch the local fishermen bravely negotiate the unforgiving Atlantic. 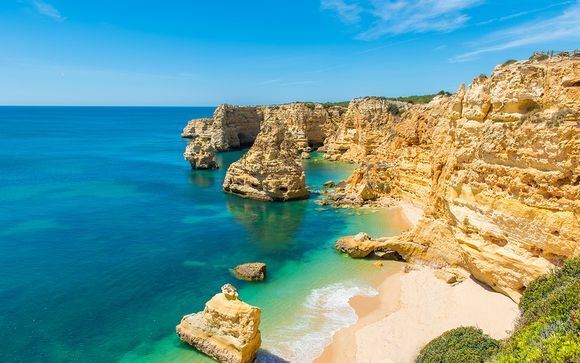 Alternatively, for a more languid experience, venture east to Vilamoura, and gaze upon the hundreds of luxury yachts berthed in the award-winning marina! 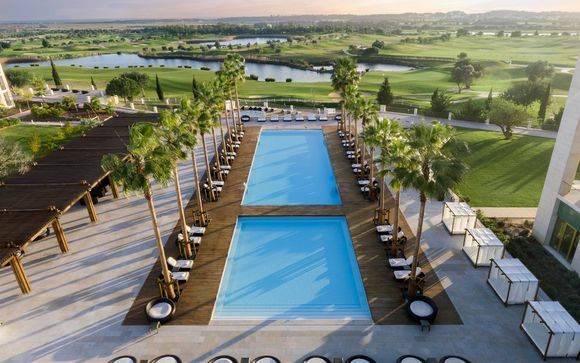 The Algarve has long been renowned as one of the continent’s top golfing destinations, and there are hundreds of courses to choose from for those wanting to tee off during their stay. Monte Rei, located among the hills of the Eastern Algarve, has been rated Portugal’s best course, while The Oceânico Old Course in luxurious Vilamoura once held the Portuguese Open. If golf isn’t your forte, the Algarve also specialises in watersports, with Lagos, Albufeira and Vilamoura all offering a variety of water-based activities for you to try out, including kite surfing, scuba diving, jet skiing and wakeboarding. 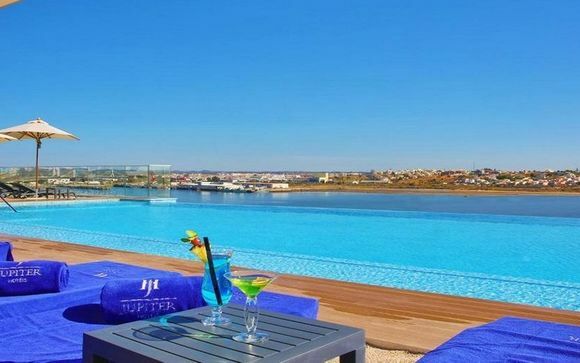 What you do during your Algarve getaway is entirely up to you; browse our handpicked offers today and choose a luxury hotel to accommodate you during your stay.